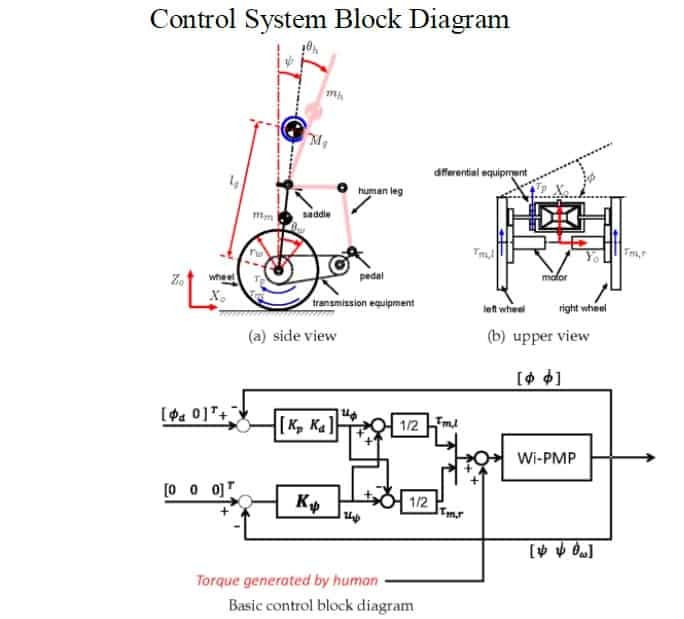 This paper describes the design and fabrication of Self Balancing two wheeler. The Self balancing two wheeler is based on the principle of Segwаy knows when you are learning forward. To maintain balance, it turns the wheels at just the right speed, so you move forward. The Self balancing two wheeler is an intelligent vehicle which uses gyroscopic sensors detects the motion of rider, so that he can accelerate, brake or steer the vehicle. This self balancing is absolutely ecofriendly mode of transport which causes zero pollution. At first glance, this device called the self balancing two wheeler basically we can call it a human transporter in some cases it also look as hi-tech , people who expedited it they praises the remarkable performance about it as it is different from other vehicles. • Movement by changing weight. This two wheeler is the personal transporter which is to move from one place to another place with a simple operation. Basically it is a look like scooter but the wheel display is parallel to each other that is both the wheels are positioned side by side. The Segway is a personal transportation technology invented by Dean Kamen (DEKA, 2007). This technology can be used for relaxation or business-related purposes. It can be used by golfers on a golf course instead of gold carts, by policeman and security and also by individuals for sightseeing or to travel short distances. This two wheeler can be used on rough ground in remote farm areas or in the woods as well as on city pavements and streets. The company that manufactures this product has tried to develop different types of Segways to fit different needs. However, this technology is still in its early stages and society is going to play a huge role in the construction of a safe Segway. This paper is going to use Bjiker’s theory of the social construction of technology to look at the Segway in its current stage of development and the technology behind it, relevant social groups, problems and solutions, future Segway predictions, interpretative flexibility, closure and stability and the final safe Segway (Bjiker, 1997). Chasis is made of wooden block and four wooden blocks are used to make the frame. To make chasis to be balanced,four wooden blocks of equal weights are used. It is engaged firmly with the help of stud . Stud is to connect the wooden block together with the nut. Wheels are attached to the middle of frame in order to withstand the load capacity. Handle is also made of same wood to which DPDT switch is fixed. Motor is fixed with the chasis through screwed bolt and it is the main source of power with is to drive the vehicle. There are two motors , each for one wheel. Each motor is driven by a separate 12v battery. A stud is a round bar threaded at both ends . Stud is a screwed rod to connect the wooden block together in order to make the chasis. 20A Continous 12 V input power supply. Double Pole Double Throw (DPDT) switch. It is used to guide the direction of rotation of motor shaft. By operating the switch the direction of vehicle can be controlled. Connecting wires are used to connect switch with motor. The type of wood used to make frame is “COUNTRY WOOD”. Four wooden blocks are jointed with the help of stud and screwed with bolts. Motor and battery are mounted on frame with help of screws.